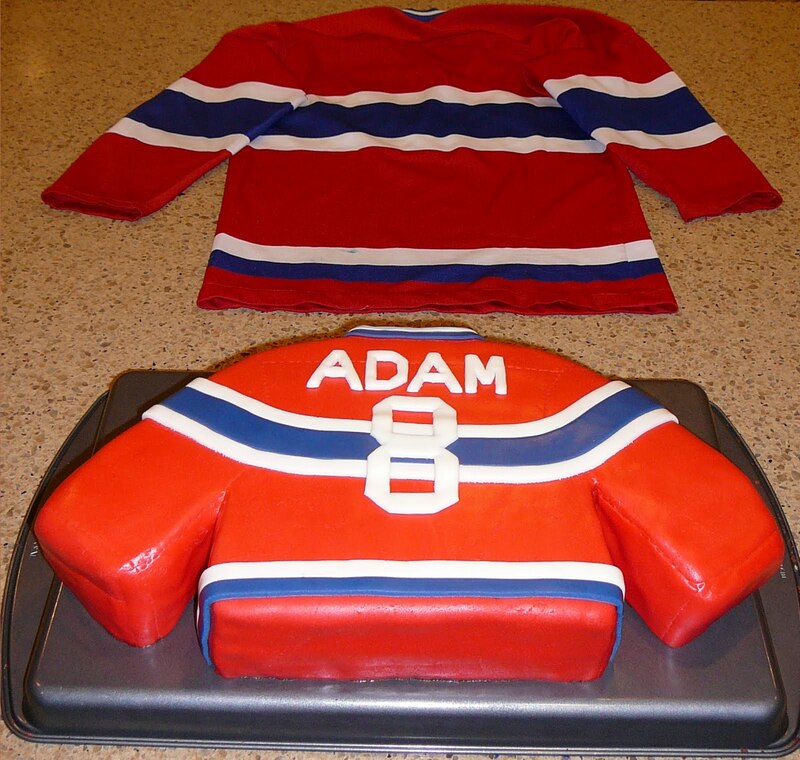 For all you hockey lovers out there, this is a cake for you! I made it for my Canadiens-lover, who turned eight. The body of the shirt is a rectangle roughly 8x9" and the sleeves are what's left over, cut diagonally through the middle and attached to the sides of the shirt. I angled the top of the shirt to be the shoulders and used a small scrap cut off when I levelled the cake to make the neckline. I stuck it all together and crumb coated it with chocolate fudge icing. Then I covered it in a single large piece of red fondant. I used my ribbon cutter to cut stripes in blue and white and laid them on. I figured out this technique of rolling the stripes onto my rolling pin, which allowed me to lay them out on the shirt without them stretching like crazy. The rolling pin really helped the process go smoothly. I used a knife to cut the number and letters. I even "stitched" some of the seams for the shirt with a small knife. It was lots of fun to make! 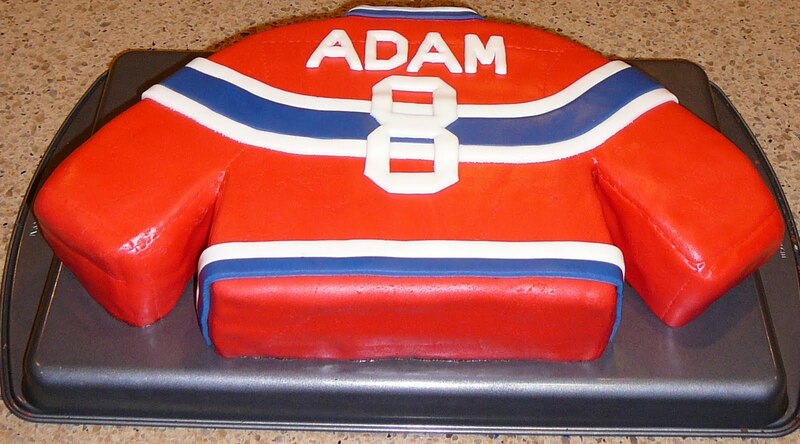 I had Adam's actual hockey jersey to go by. I was surprised how similar in size the cake turned out. 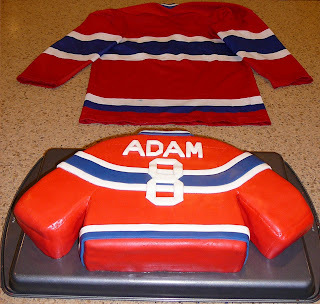 My husband wants the same cake for his birthday! Welcome Back to School Supper!